Please note, free days apply only to day use (not overnight stays or rented facilities). June 8 and 9 are free days on lands managed by State Parks and Fish & Wildlife (a pass is still required on lands managed by DNR). 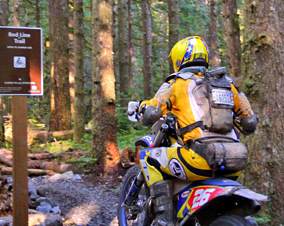 A Discover Pass is still required to access lands managed by the Washington state departments of Natural Resources and Fish & Wildlife on all other days. Sno-Park permits are still required on free days at designated Sno-Parks during the winter season. Discover some of the most beautiful recreation destinations in the state. When you explore the 3.3 million acres of state trust lands managed by DNR, you’ll find more than 1,200 miles of trails, 160 recreation sites, and 80 free first-come, first-served campgrounds just waiting to host your next adventure.